I am a Professor at Data, Intelligence and Graphs (DIG) LTCI, Télécom ParisTech and University of Waikato. 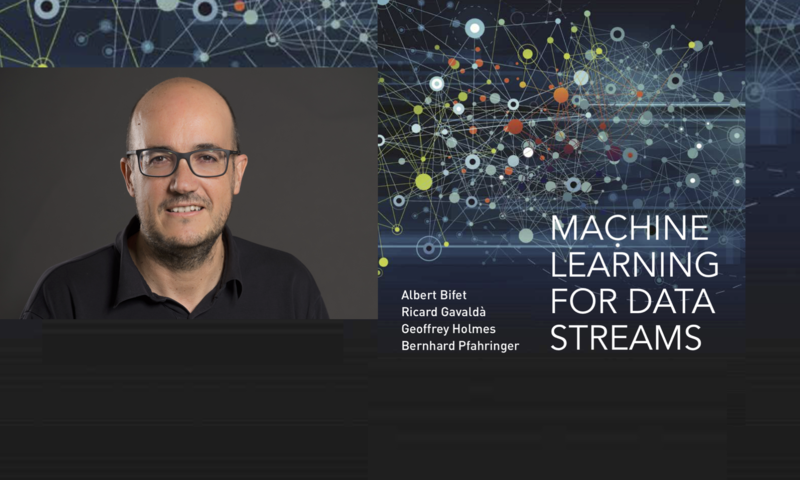 My research focuses on Artificial Intelligence, Big Data Science, and Machine Learning for Data Streams. 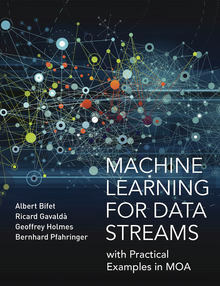 I am co-author of the book “Machine Learning for Data Streams” of MIT Press and I’m co-leading the open source projects MOA Massive On-line Analysis and Apache SAMOA Scalable Advanced Massive Online Analysis. Today many information sources—including sensor networks, financial markets, social networks, and healthcare monitoring—are so-called data streams, arriving sequentially and at high speed. Analysis must take place in real time, with partial data and without the capacity to store the entire data set. This book presents algorithms and techniques used in data stream mining and real-time analytics. Taking a hands-on approach, the book demonstrates the techniques using MOA (Massive Online Analysis), a popular, freely available open-source software framework, allowing readers to try out the techniques after reading the explanations. PhD Students: Diego Marron, Jacob Montiel, Maroua Bahri, Dihia Boulegane. Editor of the ’Big Data Mining’ special issue of SIGKDD Explorations Dec. 2012. Associate Editor of IEEE Transactions on Big Data (IEEE TDB) (2015-2017). Associate Editor of Neurocomputing Journal (2016-2017). Program committee memberships: Senior PC KDD-2018 Research Track, Senior PC IJCAI 2018, Senior PC PAKDD 2018, Senior PC IEEE BigData 2017, Senior PC KDD-2017 Applied Data Science Track, Senior PC IJCAI 2017, KDD 2016, ICDM 2016, IEEE BigData 2016, ECML-PKDD 2016, SDM 2016, WSDM 2016, CIKM 2016, PAKDD 2016, Senior PC IJCAI 2015, ICDM 2015, KDD 2015, SDM 2015, CIKM 2015, ICDM 2014, CIKM 2014, ECML-PKDD 2014, ECAI 2014, PRICAI 2014, DS 2014, KDD 2013, ECML-PKDD 2013, ACML 2013, DS 2013, ICDM 2011 Best Paper Award Committee, ICDM 2011, ICML 2011, IJCAI 2011, ECML-PKDD 2011, SAC-Data Streams 2011, HacDAIS 2011, EGC 2011, EPIA 2011, Sensor KDD 2011, ICML 2010, ECML-PKDD 2010, DS 2010, SAC-Data Streams 2010, HacDAIS 2010, Sensor KDD 2010, DS 2009, SAC-Data Streams 2009, Sensor KDD 2009.